The battle off Cape Matapan was over, and with it any will on the part of the Italian navy to contest Britain’s rule of the Mediterranean. What the Axis could not achieve at sea, they would soon achieve from the air. German forces crushed the exhausted Greek army and swept the British from the Peloponnese with disheartening rapidity and ease. More than 12,000 men were lost together with 8,000 vehicles and 209 planes. But Cunningham’s fleet managed to stage a little Dunkirk and snatched more than 50,000 men (figures vary slightly) from Nazi clutches. 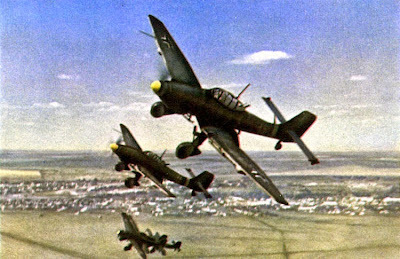 Since the Luftwaffe now completely controlled Grecian skies, Cunningham did not even consider bringing in the fleet’s heavier ships to cover the evacuation; Formidable, with its scant complement of overworked planes, would have been particularly vulnerable. This meant that evacuation could take place only at night. The operation turned out to be much like the successful withdrawals under enemy noses from Gallipoli twenty-six years before. The merchantmen and destroyers came in only after dark and were to leave no later than three in the morning. Those ships that somehow were unable to maintain this timetable were inevitably caught at sea at dawn and bombed. So disciplined were the British that they lost only six ships, most of them merchantmen, and Pridham-Wippell’s destroyers and light cruisers worked magnificently. Just 14,000 troops were rescued directly from jetties or wharves, the remainder being snatched off open beaches by landing craft, small boats, “and any other craft that could be collected.” Cunningham later paid tribute “to the inertness of the Italian fleet. Had they chosen to interfere, Operation ‘Demon’ would have been greatly slowed up” and possibly interrupted altogether. Crete, however, would be another matter. 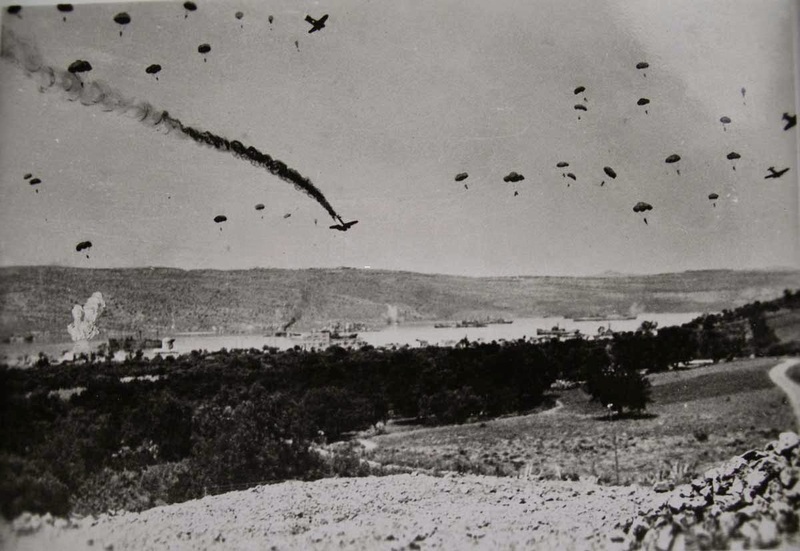 For the Luftwaffe and particularly General Karl Student, head of the German paratroop invasion force, Crete was simply a natural progression of the Grecian campaign that would culminate with German boys standing on the banks of the Suez Canal and walking the streets of Cairo. For Hitler, the conquest of Crete would complete an essential but unwelcome Balkan diversion. Crete would not be a springboard for an amphibious invasion of Egypt but rather the shield that would protect the comparatively weak Balkan flank of the imminent German invasion of Russia from any future Allied counterstroke. However mixed and varied their motives, the Germans wanted Crete, and the British knew it. This island fortress with its “second Scapa” at Suda Bay could not be allowed to fall. Once again, however, enemy airpower proved irresistible, and this time it was employed on such a lavish and dramatic scale that Cunningham’s navy was pulled into the fray and badly mauled. Formidable, Cunningham’s only carrier, had been reduced to but four serviceable aircraft due to the continued wear and tear of recent operations, and Cunningham’s only eight-inch-gun cruiser, York, had been completely disabled as the result of a daring attack by six fast Italian “explosive motor boats” on Suda Bay. Mussolini’s fleet sailors may have displayed little stomach for fighting, but his small-boat men and underwater demolition teams were always feisty, daring, and resourceful. Formidable’s greatly reduced air group mounted one last successful night raid against the German air base at Kárpathos in the Dodecanese, but as the carrier and its escorts withdrew on May 27, both it and the battleship Barham were badly bombed by the vengeful Germans, and Cunningham promptly ordered all his big ships back to Alexandria. It was left to the antiaircraft cruisers and destroyers to undertake the last act of the campaign, yet another evacuation of friendly forces in the face of an aroused and determined enemy. There are no more melancholy pages in Cunningham’s splendid memoirs than those devoted to the evacuation of Crete on the nights of May 27–28 and 28–29, 1941. The “small boys” dedicated to the task were bombed repeatedly as they approached and withdrew from the island. 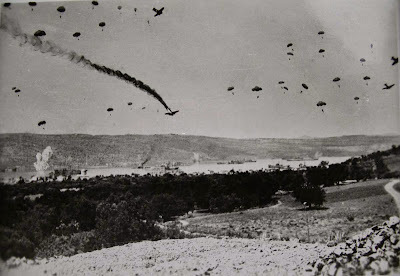 Ammunition lockers were emptied and gun crews stupefied with fatigue as wave after wave of German and Italian aircraft roared down out of the skies. As ships heaved and rocked under the impact of bomb blasts aboard or near misses, several thousand sailors were pitched into the warm, salty waters, some to be rescued, many to perish along with their mates who went down with their ships. The final toll off Crete in the ten days after May 20 was three cruisers and six destroyers gone. Moreover, Formidable, the battleships Warspite and Barham, and four more cruisers were damaged beyond any hope of repair at Alexandria and had to be sent home (or to American yards) for months of rebuilding, while another nine cruisers and destroyers required several weeks or more of dockyard work at Alexandria.